Australia’s reputation as an international leader in motor sport safety has been boosted with the news that Australian Institute for Motor Sport Safety (AIMSS) Chairman, Dr Michael Henderson, was recently appointed a Fellow of the FIA Institute for Motor Sport Safety. He joins FIA Formula One Race Director and Safety Delegate, Charlie Whiting, and former Indianapolis Motor Speedway Medical Director, Dr Henry Bock, as new Fellows of the FIA Institute. Dr Henderson has been instrumental in the promotion of safety features in vehicles for the roads and for racing and he is recognised as a pioneer in the use of seat belts in racing cars. His seminal book ‘Motor Racing in Safety’ and development of the original six-point race harness promoted the use of safety harness equipment in both European and Australian motor racing. CAMS President, Colin Osborne, praised Dr Henderson’s appointment as a significant milestone for Australian motor sport. “Michael’s contribution to motor sport safety, both here and abroad, is something which cannot be underestimated and it is a fitting tribute that his ongoing work in this important area of our sport has been recognised accordingly. AIMSS General Manager, Dr Rob Nethercote, was also thrilled to have this recognition of the Australian Institute Chairman. “Michael has spent his entire professional life in aviation, road and race safety research and administration. His list of achievements is considerable and he is incredibly well respected all over the world, as signified by this latest honour. “Among Michael’s other accomplishments are that he is a past Director of Traffic Safety in NSW and established ‘Crashlab’, the first government road crash research unit and test laboratory in Australia. He was Chairman of the Commonwealth Government’s Advisory Committee on Road Trauma and is the author of over 100 research papers on road safety. He is a Fellow of the Association for the Advancement of Automotive Medicine and the Australian College of Road Safety, and is a member of several international safety associations, including the Society of Automotive Engineers. 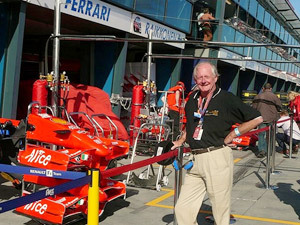 “In the world of motor sport, apart from his role with AIMSS, Michael is a member of the CAMS National Technical Committee and an adviser to the Historic Commission. 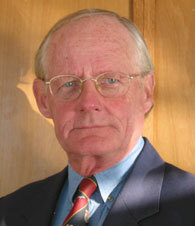 In 2004 he was also awarded Life Membership of CAMS. “All at AIMSS are thrilled that this well-earned honour has been bestowed on Michael Henderson,” concluded Nethercote. Henderson and the other Fellows of the FIA Institute will act as figureheads for its work, as well as provide consultancy on safety projects and participation in FIA Institute events. The other previously elected Fellows of the FIA Institute are motor sport safety protagonists Professor Gérard Saillant, John W. Melvin PhD, Professor Hugh Scully, Terry R Trammel MD and Stephen E. Olvey MD.